Winter morning view of Staithes Beck, just upstream from the footbridge. 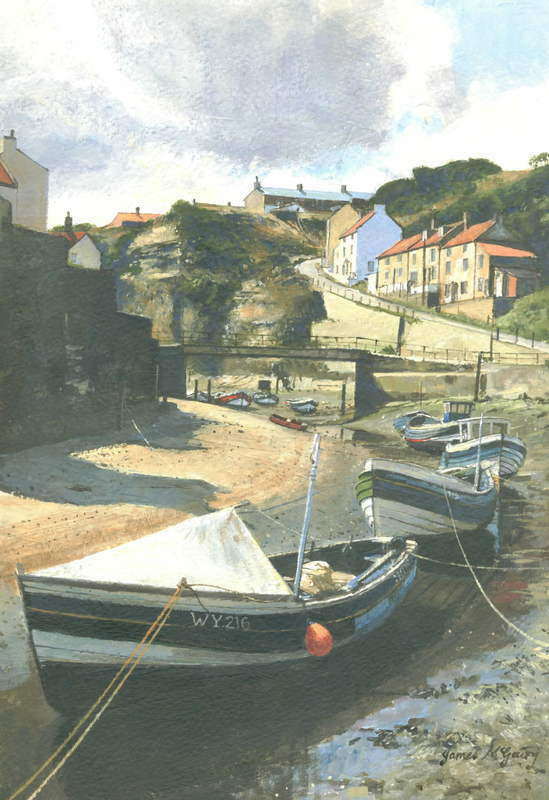 Staithes is on the North Yorkshire coast. The price of £35.00 includes packing and dispatch to UK. For international shipping, please ask, I will supply personal shipping quotation.